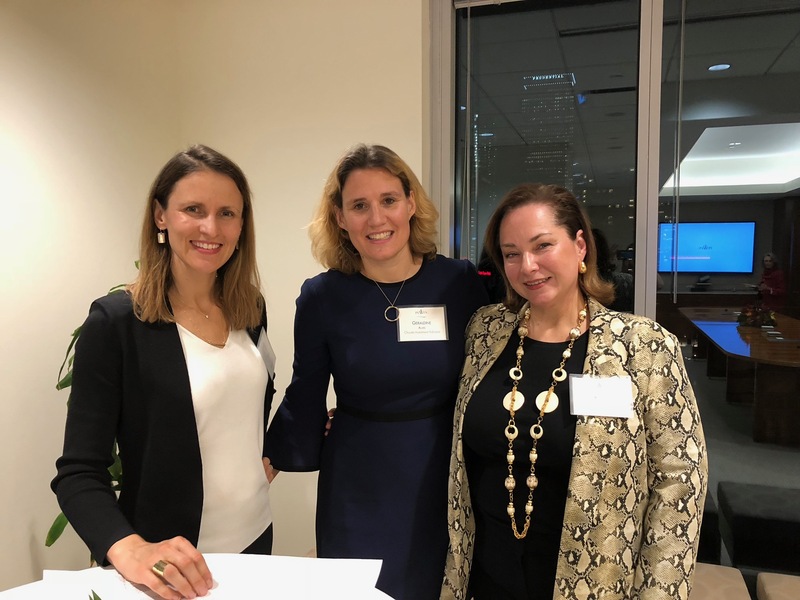 Boston, November 9, 2018 – The Private Equity Women Investment Network (PEWIN), a membership organization for senior women leaders in private equity dedicated to advancing diversity and forming business relationships among women investors in the private equity industry, held the inaugural event for its new Boston Chapter on November 1. The more than 40 guests included senior women investors from across New England, representing a good mix of both General Partners across private equity strategies and Limited Partners from endowments, pensions, fund of funds, consultant gatekeepers, wealth managers and other organizations. PEWIN hosts numerous member events each year globally, which focus on networking and education for its members. PEWIN also actively supports women-oriented causes and organizations, particularly in the field of finance. The PEWIN Boston Chapter co-chairs are Geraldine Alias, Portfolio Manager at Choate Investment Advisors, and Sarah Samuels, Managing Director at Wellesley College. Founded in 2008, PEWIN has grown substantially over the past decade and today has nearly 600 members around the world committed to expanding opportunities for senior women in Private Equity to network and find ways of doing business together, with the goal of attracting and keeping women in the industry. Members are Managing Directors, Partners, or in roles of similar responsibility at their respective firms. With the opening of the Boston Chapter, PEWIN now has a presence in 10 locations across the United States, Asia, Africa, the Middle East, and Europe. PEWIN is the preeminent membership organization for senior women in private equity from endowments, foundations, pension plans, fund of funds, family offices, venture, buyout and mezzanine firms, consultants, and select advisory firms. PEWIN provides opportunities to network, share ideas, make deep connections between peers, and works to empower women to succeed at the highest levels in the Private Equity industry. All members are in decision-making roles at their organizations, and include Managing Director or Partner level professionals, Chief Investment Officers, Senior Portfolio Managers, or similar level of C-suite responsibility. PEWIN has members in the United States, Europe, Asia, Middle East and Africa who represent institutions with over $2.5 trillion in assets under management. To learn more about PEWIN, please visit www.pewin.org.